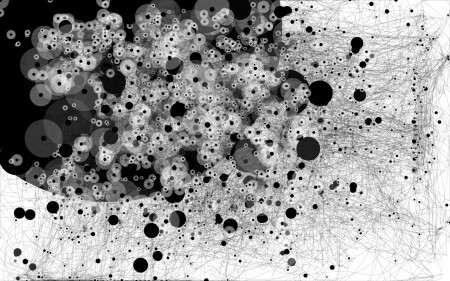 These images are recordings of mousepaths using a Java applet by Anatoly Zenkov. In addition to being an interesting aggregation of usage data, they look pretty cool (especially the ones over shorter time periods). The third image is my mousepaths while writing this post. The most telling are my frequent trips to the corners to cue my Exposé actions. Important to note that the black spots are where the mouse stopped for a period of time, not clicks as I thought at first. You can download it here: PC Version | Mac Version. 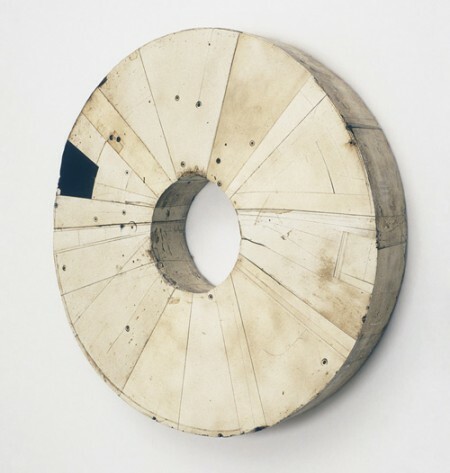 “S” – save image. “R” – restart. The last two images are pieces by Hiroyuki Hamada. Completely unrelated yes, but when I saw the mouspath images I immediately recalled these from a couple weeks ago on bdif. I’d worry about you if your mouseclick data looked like this. This is awesome! I’ll have to try it. I love this, but it doesn’t span my entire screen and there doesn’t seem to be a way to enlarge it. The window that it runs in doesn’t show up as full screen on your monitor (if it’s of a higher resolution). It does, however, still register every part of your screen (you can test it out by moving your mouse to the corner of your screen, noticing that it goes to the corner in the Java applet window). The image will be the size of your monitors resolution once it’s saved. 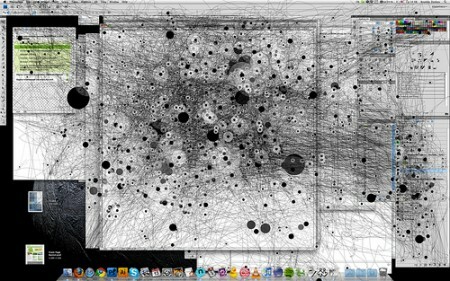 I”m going to have to try out the mouse paths thing, it’d be interesting to see. i wish it worked for dual monitors…most of my stuff i do on my left screen but my desktop is fixed on the right and it’s only catching those mouse-ings. Heres mine from a few days ago in Illustrator inbetween breaks at work. I really like how this little device forces you to use time as a factor in creating dynamic between dot sizes. Where does this save the images to? And do you just press S on the keyboard to save or what? Thanks,, I’m dieing to try this out. 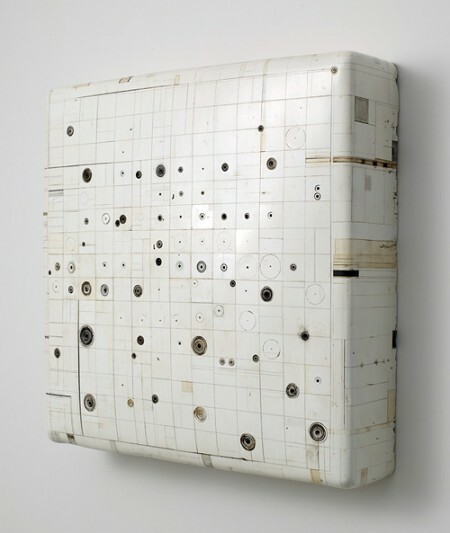 We are excited to show Hiroyuki Hamada’s work at Art Chicago! April 29th until May 3rd 2010! Don’t miss it! Did anyone try printing these things? Any way to blow them up big? Thanks.